Professional Packers Movers Bangalore, Professional Packers Movers Mumbai, Professional Packers Movers Delhi, Professional Packers Movers Kolkata. At Professional Express Movers, we believe that experienced & professional human resources are the key to a careful & efficient relocation. Our highly trained drivers, warehousemen and crews are backed by a knowledgeable office staff who will make every effort to help you with any questions you might have. Moving within a city is much easier than moving across cities or internationally. We provide full service door to door local move facility in Bangalore, New Delhi, Gurgaon, Faridabad, Pune, Mumbai, Thane, Navi Mumbai, Noida, Jaipur, Chandigarh, Lucknow, Kolkata, Hyderabad, Chennai, Mysore, Patna, Indore, Bhubneshwar. Professional Express packers and movers strive to provide professional and safe moving which are cost effective and hassle free. Our Services include Dismantling of Furniture, packing the goods, door to door transportation in cloased container vehicle, unloading to the new place, unpacking, refixing the furniture and other dismatled goods, rearraning the major goods as per the plan and clearing the debris. Relocating from one city to another in a vast country like India has its challenges. With new places come different culture, different languages and a new job environment which requires some time to settle in. You need a mover who understands this and provides you a efforless service so that you can concentrate on more important things. With offices in all major cities across India and associates in over 175 locations nationwide, Professional Express packers and movers provides hassle free, safe and customised moving services based on your needs and convenience. We offer high quality and safe packing of goods adhering to ISO standards using best quality packing material sourced for certified manufacturers, Loading, door to door transportation, delivery to your residence in the destination city, complete destination services including unloading, unpacking, refixing and rearranging of goods. Professional Express packers movers provides removal services to over 1800 locations in 175 Coutries with its network of associates and partners. We provide professional and secure packing, crating, air and sea frieght, door to door worldwide services, complete destination services, import and export assistance and destination relocation programme. Car are transported in customised car container vehicles equipped with hydraulic loading and unloading ramps and wheel jammers. These are customised full covered lockable container vehicle which provide safe and secure mode of Car transportation. The Cars are loaded in the container by hydraulic or manual ramps. The container has wheel jammers which are put on all the 4 wheels of the Car and tightened which prevents the car from moving which in transit. The Car is packed using corner tubes to avoid any damage to the outer body. With the fast pace of business and the corporate's today, its not just a moving company that's enough to handle the complexities of a corporate shifting.. you require a expert.. Its not just experience and the expertise in corporate relocations that make us No. 1, but the professional people we have, who have demonstrated their skills in communications and planning with each move they handle. 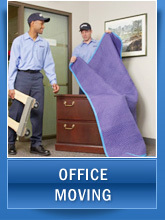 Professional Express packers and movers have professional expertise in relocations of Corporate offices and workplaces. We have qualified professionals who understand the corporate culture, their requirements and responsibilities. We work in coordination with company administrative staff to prepare a workplan and ensure a smooth relocation process without inconvenience and disruptions to regular work. The undertake schedule planning, logistics support, dismantling and removal of office equipements and fixtures, Data Centres, furniture, data storage devices, workstations and servers, UPS, Critical Lab equipments, Files & Stationary, Server Racks etc. We provide the customized cratings, vaccum packings and setup support. Professional Express Packers Movers provides services to transfer documents and other parcels from India to anywhere in the world. We specialize in relocation of household goods, corporate relocations, equipments as full load (FCL) or Part Load (LCL) consignments, by air and sea, from India to Worldwide destinations including the USA, United Kingdom, Austalia, New Zealand, Hongkong, UAE, China, Japan, Europe. We provide professional advice, export quality packing, packing, custom clearance and fastest transfer through various modes as per the customer's needs considering an economical cost and timely, safe, hassle free delivery of goods. Mix and match relocation services as part of an overall relocation service programme. Professional Express International Relocation service experts will be able to advise on the best programme to suit your business. Depending on your business requirements, Professional Express relocation services can cover as much or as little of the relocation process as you need. Professional Express dedicated team provide highly personalised relocation services, managing every aspect of the relocation. Select from a range of relocation services to suit the needs of your relocating employees and your organisation's corporate goals. Experienced relocation professionals manage your relocation programme and support your relocating employees throughout their move, coordinating all the aspects of the relocation in to one seamless service. All based on the service package that has been developed to suit your needs and within your policy. Professional Express International Relocation provides your business with an experienced Account Manager who works with you to develop a relocation programme built around your organisation’s requirements. They will be able to advise on all aspects of managing a relocation programme and its administration. 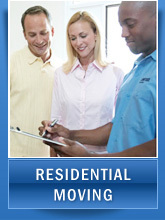 A single point of coordination is provided for each of your relocating employees throughout their relocation. A dedicated Professional Express Global Mobility Coordinator will coordinate and guide them through the process.